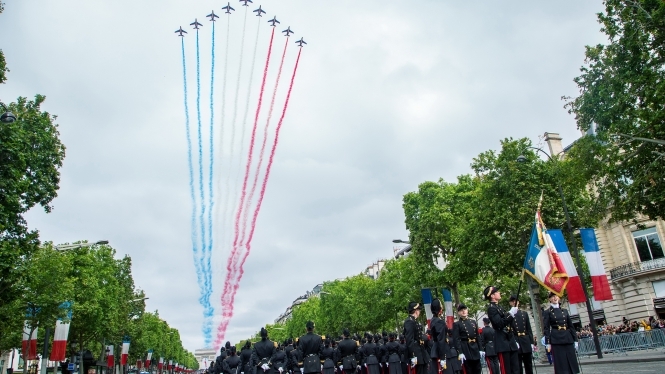 As France celebrates the Fête Nationale, here are a few things you may not have known about July 14 in France. On writing, President Macron is meeting with US President Donald Trump ahead of what promises to be an impressive display on the Champs-Elysées, and around France other cities are also gearing up for their own events, notably in Nice where there is an extra solemnity to the occasion this time, marking as it does the first anniversary of last year’s tragedy. Wherever you are today, here are some interesting facts about this special day. The date of the Fête Nationale was written into law on July 6, 1880, and the Interior Ministry recommended to prefects that the day should be "celebrated with all the brilliance that the local resources allow".